Being Frugal and Making It Work: Being the Perfect Mother is Easier Than You Think! 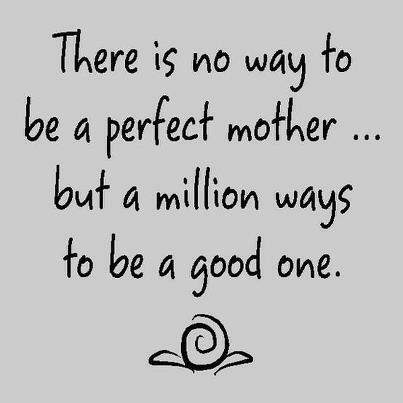 Being the Perfect Mother is Easier Than You Think! I love this saying, it is 100% truth and every mom should read (and remember) it! Being a mom is the most rewarding job in the world, I wouldn't trade it for anything! My kids are happy and healthy - I can't ask for much more than that!